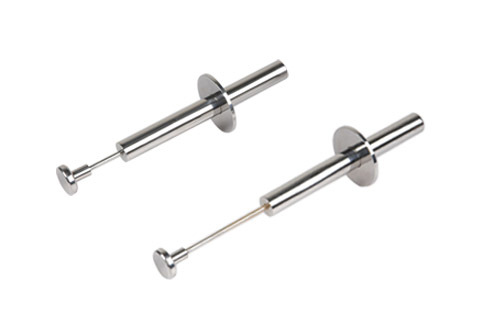 ChouMag Magnetic Sampling Probes are used for sample inspection. High intensity magnetic sampling probes are ideal for quality control personnel to quickly and easily carry out product purity inspections on any powder, granulate or liquids for ferrous and lightly magnetic contamination. 2. All product contact parts are manufactured using 316L stainless steel. 3. All of magnetic sampling probes are waterproof.